A typical baitcasting reel, used for large freshwater species. Fixed-spool reels come in different forms. The spinning reel (see the following figure) is so named because a housing that fits around the fixed spool, which is parallel to the axis of the rod, spins around it when the handle is turned. A device on this outer housing, called a pickup bail, distributes line around the spool as the handle is turned. At the same time, gears within the reel move the spool in and out of the spool housing, so the line fills the spool in neat layers. 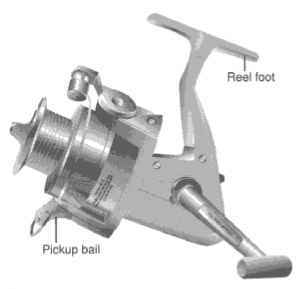 An angler casts a spinning reel, which is attached to the bottom of a fishing rod, by first lifting the pickup bail, which puts the reel into freespool. 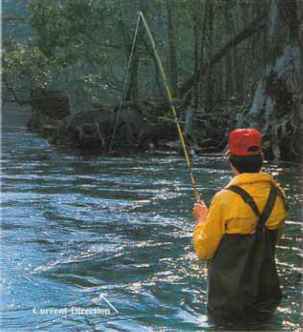 Then he holds the line with one finger, releasing it when casting. Turning the handle automatically drops the bail back into place. Learning to cast a spinning reel is easier than learning to baitcast. 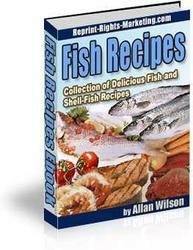 A spinning reelthe most common reel type in use today. 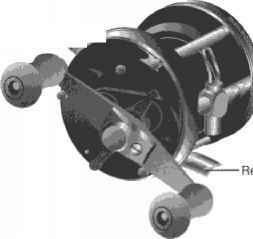 The spincasting reel (see the following figure) is a sort of hybrid between a conventional reel and a spinning reel. Although spincasters feature a fixed spool, they usually go on the top of rods. Spincasters are also called pushbutton reels because they are operated via a button or a lever: When the angler presses and then releases the button with his thumb, line flows freely from the spool. The spool itself is housed inside of a cone-like hood, at the tip of which is a small hole through which the line comes out. After a cast, the angler turns the handle, which automatically engages an internal pin, guiding line onto the spool as the angler reels in. Spincasters are very easy to operate, and are a good choice for kids and beginning anglers. A spincasting reel is easy to operate. 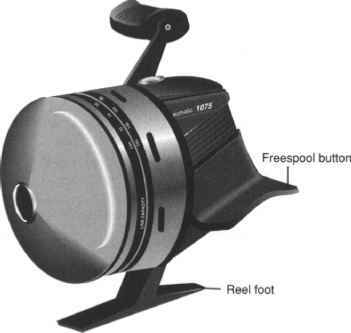 Some relatively new spincasting reels fit on the bottom of the rod, and instead of a pushbutton, feature a long lever that puts the reel in freespool. Some anglers feel that these trigger-type spincasters are easier to operate, and are better balanced than typical spincasters because the reel and its weight are on the bottom. There are pros and cons to each type of reel, as detailed in the following sections.